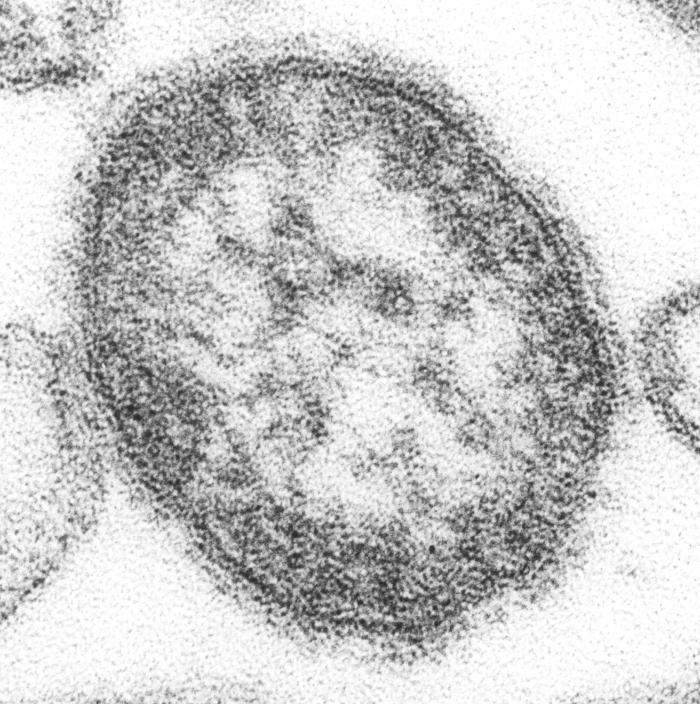 A single virus particle, or "virion," of measles virus. LANSING, Mich. (AP) - Michigan health officials say two infants have had measles this year, putting the state among 16 states with confirmed cases of the viral disease. The U.S. Centers for Disease Control and Prevention says there were 159 cases reported nationally as of Aug. 24. That's well above the average of 60 cases a year reported in 2001-2012. Measles is a once common childhood disease now preventable through vaccination. The CDC says at least 82 percent of those infected this year weren't vaccinated. The Michigan Department of Community Health said Monday that the two Michigan cases involved children under 12 months old. It says both infants caught measles outside the U.S. and have recovered. The agency says it's working to confirm a third infection.